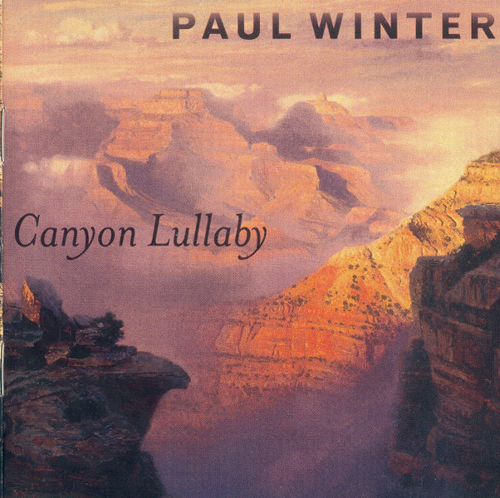 CANYON LULLABY is Paul Winter's long-awaited first solo sax album, and the first Surround Sound album recorded in the Wilderness. 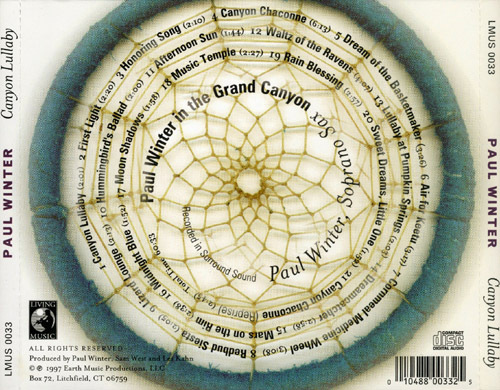 Lyrical and haunting, this album showcases Winter's soulful and soaring sax within the extraordinary acoustics of the Grand Canyon, among a symphony of wildlife voices. 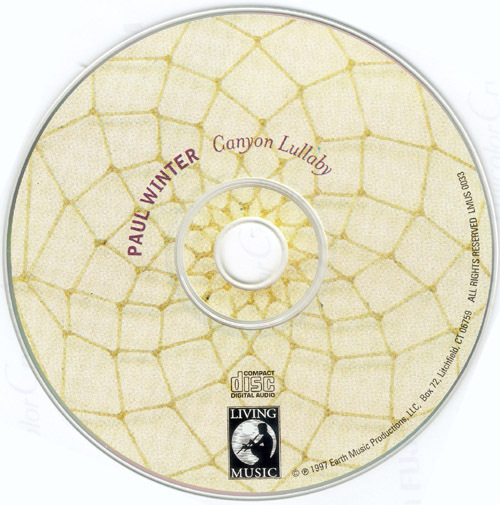 Continuing Winter's legacy of state-of-the-art outdoor recordings, and further refining his musical-ecological vision, CANYON LULLABY is a tender lovesong to one of the most dramatic yet intimate landscapes on Earth.